Hi everyone, and thanks to Rhi for having me here! My name is Kristi, and I've always been a huge fantasy fan. I especially love books that blend that line between fantasy and reality, making you look at our world just a little differently. That being said, it was no surprise to those around me when I began writing fantasy novels! The other thing I love are books that complete a story. Don't get me wrong, series are great, but I like finishing a book and having it be done, you know? Although, by the time it's done, I've become attached to the characters so much that I don't want the book to be done. It's a crisis, I tell you! Enter, the stand-alone series! I was first introduced to this concept through the Sevenwaters series by Juliet Marillier. I read the third book in the series first, since it was the only one in the bookstore, then the second, then the first. Then the rest came out. I loved how each book was a separate story, but each built upon the last, and reading them backwards was almost like going back in time. Then, I discovered the Black Jewels series by Anne Bishop, which has the same type of flow (minus the initial trilogy). You can read them out of order, and each is about a different character, and a different piece of time. I hope that it what I have managed to accomplish with my Land of Kaldalangra series. Each is it's own story, with it's own characters and troubles, but they are all connected, and reading all of them tells a greater story. The Land of Kaldalangra series has been called an "action, romance, adventure series", as well as "historical fantasy". It is a combination of castles, kings, mysterious portals between worlds, and has a little bit of magic thrown in. 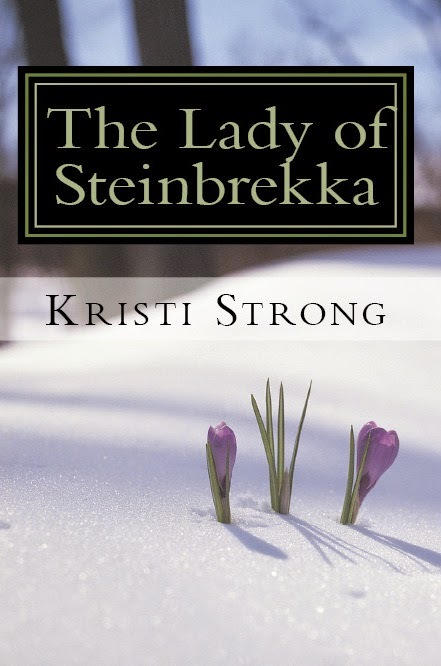 One of my favorite reviews calls The Lady of Steinbrekka (the first of the series) "an exquisite blend of Graceling meets The Last Knight meets The Looking Glass Wars". The Lady of Steinbrekka tells the story of Rhea, a young woman who is kidnapped and finds herself in a completely different realm, ruled by a tyrant king and surrounded by people with secrets. While there, she finds herself transforming, both physically and emotionally, and seeing things that she never believed existed (like ghosts, giant tigers, and a shape-shifting wise woman). She learns that her destiny in this realm is not a pleasant one, and begins to realize how she can change things in this realm, as long as she has the courage to try, and can tell the difference between friend and enemy. 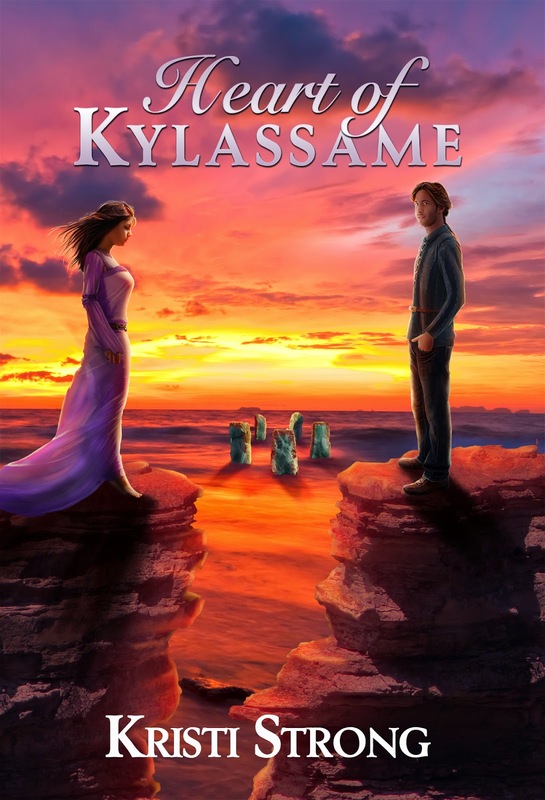 The events in Heart of Kylassame occur two years after the end of The Lady of Steinbrekka, and tell the story of what happens after Rhea makes her final choice in Kaldalangra. It is filled with grief and joy, trust and broken promises, and final chances for monumental life changes. 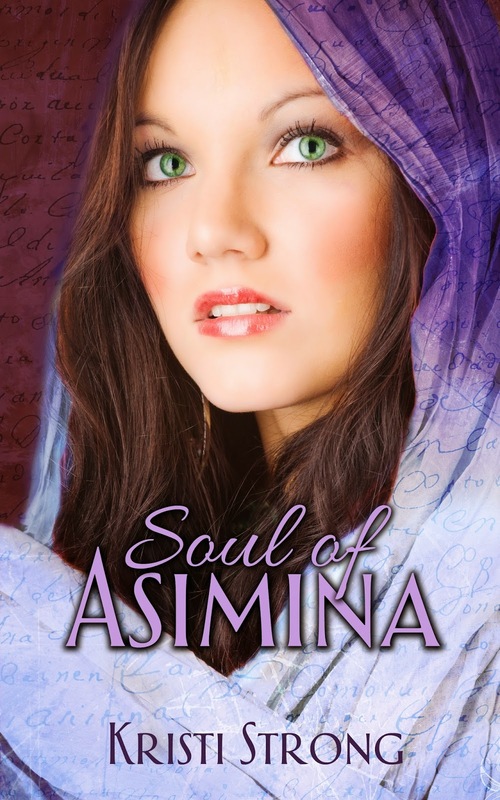 Soul of Asimina takes the reader twenty years into the future, when the realm of Kaldalangra has changed greatly. Sabina de Nespa is a princess of the realm and beloved by everyone, but begins to discover that her family has a dark past and is hiding many secrets. The boundaries between Kaldalangra and our world have blurred, causing many people to fall into this fantasy realm, and Sabina is instrumental in their adaptation to a drastically different existence. The people and events of the first two books have now become legendary, and Sabina learns that the truth is often scarier than the legend. That's it in a nut-shell! A bit of fantasy, a bit of romance, horses and royalty, blood and roses. Enjoy! Rhea Aralia lived an uneventful life in Virginia, until the fateful night of her kidnapping. Taken to a strange realm of destruction, despair, and mysterious people with dark secrets, the young woman must learn a new way of life to survive. Join Rhea as she fights to take destiny back into her own hands. Sabina de Nespa has known a life of freedom and peace, thanks to the actions of her heroic parents. As a child of royalty, she has kept her intentions pure and her heart guarded, always aware that the crown of the realm may one day rest upon her brow. When two strangers stumble across her path, she finds her peace shattered as dangerous family secrets begin to emerge, along with a malignant force that threatens to destroy her entire world. These men have the ability to help her rise to brilliant heights, or cause a devastating plunge into darkness. It is now up to Sabina to continue her parents’ legacy of honor, courage, and strength through adversity. With the fate of Kaldalangra upon her shoulders, she has vowed to follow the path of righteousness, or die trying. She bolted out of her hole, too frightened to know if she was heading away from the door or towards safety. Direction did not matter; all that mattered was getting away from the person who pursued her. The un-swept floors threatened to betray her as her sneaker soles slid on the years of sand and dirt. She turned the corner as the second man stepped into the aisle, then tripped over a box as she quickly backed up. The man gave a hollow laugh that echoed off the walls of the basement. Rhea grabbed an old volume off the shelf and threw it at him, using the precious seconds of confusion to force her feet to move and run down the next aisle. She could see the main aisle, could see freedom streaming through the door and took a precious second to inhale for a scream of help. A large hand clamped across her mouth, an arm lifted her from the ground and took that precious freedom away. Fixing broken computers, wrangling a very spirited little toddler, and creating a world with a tyrant king, are all parts of the average day for Kristi Strong. While she has called Virginia her home for two decades, her head has rested in two countries, three states, and far too many houses to count. She was more than happy to give up her nomadic lifestyle and settle down with her husband, daughter, cat and chinchilla. While attending James Madison University, she was given the rare opportunity to work as part of an archaeological team on a variety of dig sites in Virginia, including the homes of former Presidents, James Madison and George Washington, civil war sites such as The Stevens’ House and Fort Evans Mississippian Encampment, and a variety of pre-historic hunting sites and camps. 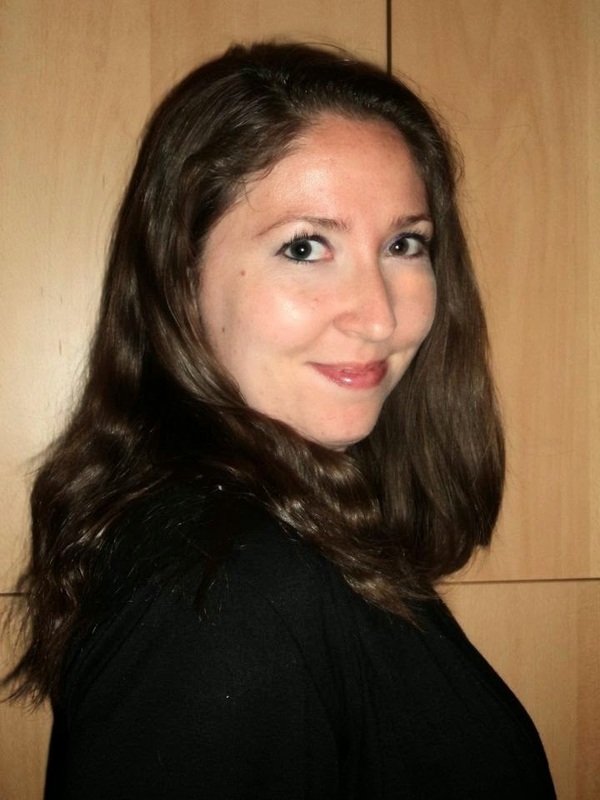 Kristi now uses her extensive studies in human cultures to create her own world in her fantasy novels, beginning with her debut novel, The Lady of Steinbrekka, and continuing with Heart of Kylassame and Soul of Asimina.